The Executive Committee of the Irish Judo Association would like to congratulate Mr Jack Dennis 7th Dan, Mr Paul Cummins 7th Dan & Mr Ciaran Ward 7th Dan on receiving their High Grade Promotions from the International Judo Federation. Jack received his 1st Dan back in 1972, by 1981 Jack had opened the infamous Lusk Judo Club, by the mid 1990’s Jack had served on the Executive Committee of the Association, served as National Squad Junior & Senior Manager and had brought scores of kids to the Community Games. By the 2000’s Jack was serving on the Grading Commission and competing abroad at Veterans level and has an impressive tally of 9 international veterans medals to date. In 2018 Jack was honoured to receive the Sports Star of the Year for Lusk & Fingal. In 2019 he had the honour of 7th Dan bestowed upon him, congratulations Jack, what an achievement! 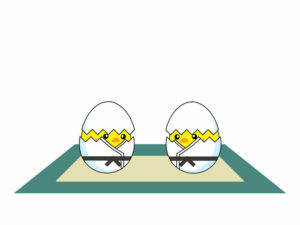 Paul received his 1st Dan back in 1983, at that time he was Head Coach in Finglas Judo Club. By the early 1990’s Paul was Head Coach in UCD Judo Club and served as Head Coach with the National Squad in the late 1990’s. By the turn of the new decade of 2000, Paul was competing at international veteran level and has an impressive tally of 12 international medals. During this time Paul served on the Executive & Grading commissions and by 2010 Paul opened his own club Paul Cummins School of Judo. Since then, Paul has become the Provincial Lead Coach for Leinster and continues to run events locally & nationally. In 2019 he had the honour of 7th Dan bestowed upon him, congratulations Paul, what an achievement! Ciaran received his 1st Dan in 1986, the start of an illustrious career that began with a bronze medal at the World Cup in Leoding, Austria 1991, leading to a European Cup gold medal in Gothenburg, Sweden 1995 which culminated in his qualification for the Olympic Games in 1996 in Atlanta. 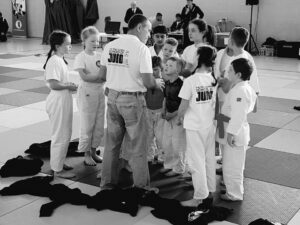 By the mid 1990’s Ciaran was Head Coach of Yamakwai Judo Club and Ward School of Judo which took Ciaran on a High Performance Coaching pathway for the Irish Judo Association and the Northern Ireland Judo Federation. In 2009 a young judoka named Lisa took the world by storm winning 12 World Cup medals, with Ciaran in her coaching corner, the 2012 Olympics in London, the 2014 Commonwealth Games in Glasgow and the 2015 IJF Grand Prix in Samsun were some of his successes as a High Performance Coach. The high performance story book is still open as we wait to read the next chapter. In 2019 he had the honour of 7th Dan bestowed upon him, congratulations Ciaran, what an achievement!